We believe that real ecotourism is all about education - teaching the masses about our ecosystem and how best to leave as little impact upon it as possible. Most people consider deserts to be 'dead' - not only are they not 'dead' but they are incredibly rich and fragile ecosystems that need to be protected even more than many others. Marks left by careless travellers in the desert can remain for generations. A simple tyre track will damage the important and brittle crust that holds the desert soils in place and may even change the course of a small stream bed thus diverting what little available water there might have been away from small plants and shrubs that have grown to depend upon it. Even bio-degradable waste which one may commonly discard in much wetter climates will not decompose and may upset finely balanced equilibriums. Studies around the world have shown that true nature conservation is all about sacrifice - man cannot avoid having any impact on an ecosystem he visits so any activity will have some kind of impact and the more activity the greater that impact. This model for nature conservation dictates that the only way to truly preserve an ecosystem is to stay out of it all together and in order to keep some areas 'untouched' one must sacrifice other areas that will bear the brunt in their stead. In Israel's Negev desert there are areas that have been set aside as effective 'no go' areas. Even in areas open to tourisim visitation and modes of transport are closely governed by strict nature conservation laws that closely govern the way in which we may tour. Our very livelihood depends on our ability first and foremost to protect the ecosystem that is the basis of our business. We are proud that the authourities responsible for nature preservation in Israel have included members of our staff in their nature preservation enforcement team as voluntary rangers. This is a rare honour as it is a clear statement by those authourites that not only are we not considered to be a danger to the ecosystem but we are able to actively help protect it. Man has for a very long time now been a part of many ecosystems and not all human activity is neccessarialy detrimental. 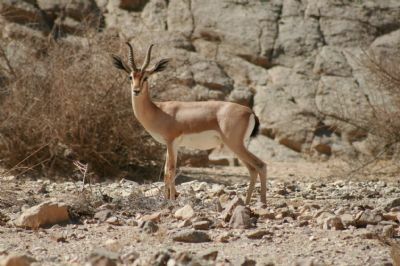 Man and his accompanying animals indeed fill very important niches especially in desert ecosystems like those in the Negev. 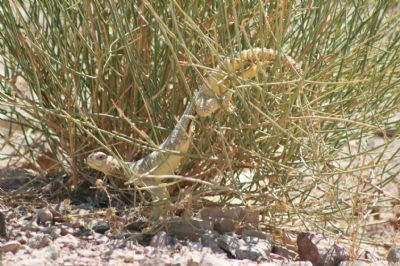 We invite you for an eye opening look at 'grassroot' ecotourisim in Israel's Negev desert - to learn about man's sometimes critical role in these very special ecosystems. Join us on a journey of discovery - come and vist the Negev.